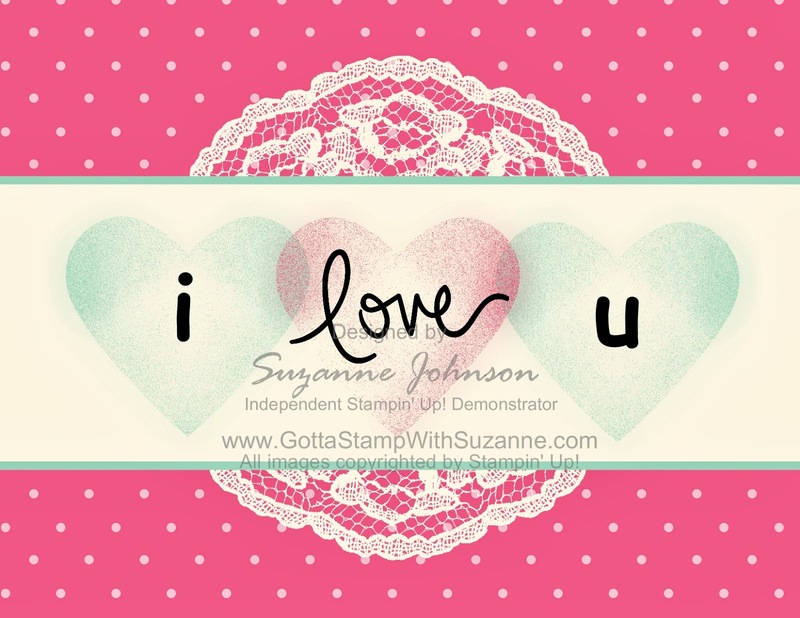 GOTTA STAMP WITH SUZANNE JOHNSON: SHARE THE LOVE - ONE WEEK UNTIL VALENTINE'S DAY! With Valentine's Day a week from today, I have two new Valentine card inspirations for you. 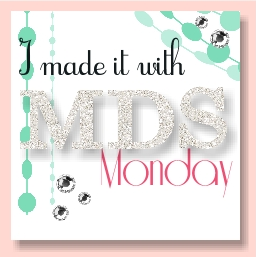 I created both using My Digital Studio elements, and one is simple and easy, the other more complicated and requires some intermediate knowledge of MDS tools. I am not including full tutorials or list of the elements here, so if you want more information or have questions about either design just let me know! 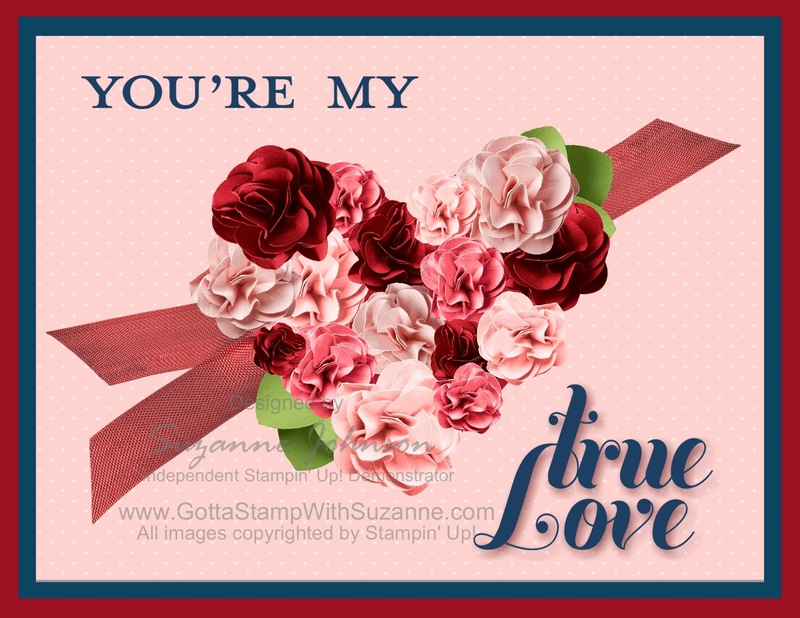 This "i love u" card is simply background DSP, a doily stamp colored white,and a white rectangle stretched past the sides with a Coastal Cabana mat (the side edges don't show because they are stretched past the card's sides). I copied (and recolored) the hearts from the heart I created for the design I c.a.s.e.d and used the same script "love" from Walk in the Park II (see my January 20 post). The "i" and "u" are just text in the comic font. I have to say I am SO PROUD of the heart of roses I created for this card! Yes, I built that heart myself, using elements from the "Blooms" collections. I used the Blushing Bride, Cherry Cobbler and Melon Mambo blooms, and with the recoloring tool created more shades of pink and red to coordinate with the original colors. I cropped a different bloom in Gumball Green for the leaves, cropped and flipped and reduced opacity and tweaked the tails of a Cherry Cobbler Seam Binding bow for the ribbon pieces. The Pretty in Pink polka dot layer was added as a page layer, reduced opacity to make it a softer pink, and layered onto a white square punch sized to match it (the white behind it preserves the lightened color). 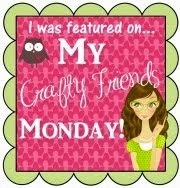 A couple of stampbrush sentiments and background layers finish off the look. I will use the heart of roses again on other cards - I don't have to build it again because I grouped all the blooms and saved the group! Now when I want it on another design I can just insert my saved group! This is a wonderful feature in My Digital Studio - if you spend the time creating a beautiful arrangement of elements, grouping lets you keep the arrangement intact an move it, saving the group lets you "recall" it to use again and again! I have tried to save and import a group of objects, but nothing happens. Do you have any idea what else to try? Let me know if these help you to solve the problem - if not, and if I can't solve it, you can then either post on mydigitalstudio.net or call tech support.